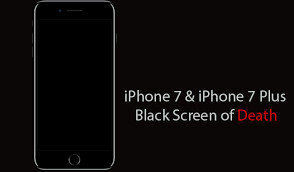 Apple has lunched the latest iPhone 7 and iPhone 7 Plus on September 7, 2016. Traditionally, the new phones come in two sizes, 4.7-inch screen and 5.5-inch screen, and feature several changes including new black and jet black finishes, new camera system, dust and water resistance, and a redesigned pressure-sensitive home button. Apple's CEO Tim Cook unveiled the new phones and told us: "We have created the world's most advanced smartphone – the best iPhone we have ever created. This is iPhone 7." Still haven't made up your mind whether to invest to the new gadget? Read through the top 5 new features come with the new smartphone and then you'll have your own decision. The iPhone 7 keeps silver, gold and rose gold, but space gray is now gone. Apple introduces new black and jet black finishes which are different from its predecessors. Note: The jet black model is only available in 128 GB and 256 GB models. One of the big changes in iPhone 7 is its splash and water resistance. This is the very first water-resistant iPhone, bringing the new iPhone into line with Samsung Galaxy S7. An all-new Home button is built in iPhone 7, making it more powerful and durable. It is updated with a new Taptic Engine and gives you precise tactile feedback as you press. The iPhone 7 features a 12-megapixel camera with Optical image stabilization, an ƒ/1.8 aperture, and a six-element lens to make it even better for shooting photos and videos in low light. The larger iPhone 7 Plus includes a dual-camera system with a wide-angle lens and telephoto lens. This means you can get higher-quality zoom from farther away, and get sharp close-up photos and videos. The new generation of iPhone comes with the same screen size and resolution with iPhone 6s and iPhone 6s Plus. The 4.7-inch display has a resolution of 1334 x 750, while 5.5-inch Plus is 1920 x 1080. The new Retina HD display on iPhone 7 deeply integrates 3D Touch throughout iOS, so you can interact with Contacts, Mail and other apps in a more responsive way. The A10 Fusion chip's CPU has two high performance cores and two high efficiency cores, making the new iPhone run two times the speed of iPhone 6. Also, the iPhone 7 is pre-installed the new operating system (iOS 10), the world's most advanced mobile operating system until now. The new iOS has a smarter Siri and protects your privacy at the core of everything. Another big change in the new iPhone is the removal of the standard 3.5mm headphone jack. Instead, Apple will include a Lightning EarPods in the box, and also an adaptor so you can use your current headphones. Apple also introduced its first wireless Bluetooth headphones "AirPods". On a single charge, AirPods can last up to 5 hours. They are sold with a case that offers charging on the go for 24 hours of listening time. The not good news is you need to pay extra 9 for this cool gadget. Featuring new black and jet black finishes, new camera system, splash and water resistance, redesigned Home button, and many other tiny upgrades, iPhone 7/7 Plus are no doubts the best iPhone ever. They are available for order on Sept.9, starting from 9 for iPhone 7 (32GB) and 9 for iPhone 7 Plus (32 GB) in US. 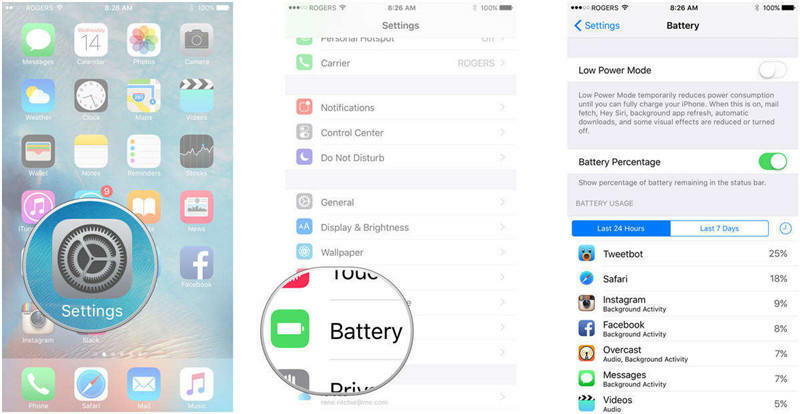 You may be also interested in tips to take care of your new iPhone 7 /7 Plus and keep it in good condition.